Sheraton Grand Macao Hotel and The St. Regis at Cotai Central are sweetening things up with new and unique mooncakes. The Mid-Autumn festival isn’t complete without the well-loved and traditional mooncakes. 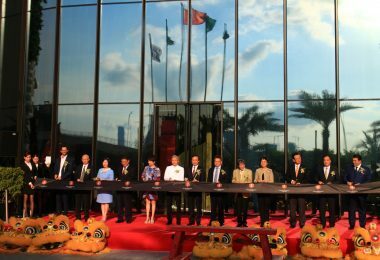 To sweeten things up, Sheraton Grand Macao and St. Regis are both presenting a range of signature mooncake flavors. Aside from the pleasure one gets from eating these once-ayear Chinese cakes, their special packaging makes them a wonderfully personal gift to give to your loved ones. For guests to savor the refined taste of the festival while still keeping with tradition, the popular Mini Egg Custard Mooncakes at Sheraton Grand Macao are expertly crafted with the finest ingredients and filled with creamy egg custard packed in a yellow box featuring the ancient legend moon rabbit. On the other hand, Low Sugar Deluxe Lotus with Egg Yolks Mooncakes are sure to satisfy anyone’s sugar fix without the guilt of having too much. 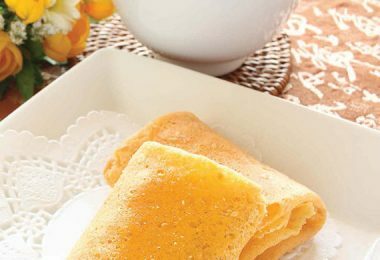 Made from a smooth low-sugar lotus paste and egg yolks, these simple but sweet confectionaries are the perfect blend of traditional flavors with healthy ingredients. These treats are enjoyed after opening a fancy pink carp box. Inside a purple box along with an exclusive blend of tea are distinctive delicacies. Combining sweetness and saltiness, guests can enjoy the Chinese Ham Mooncake with assorted nuts and yolk, which are filled with five kind of nuts including walnut, black melon seeds, almond, white sesame seeds and olive seeds for a savory taste. Visitors to The St. Regis Macao will find an exclusive Valrhona chocolate mooncake collection of eight intricately handcrafted pieces. Presented in an elegant leather box, these limited-edition mooncakes make the perfect gifts for friends and loved ones. 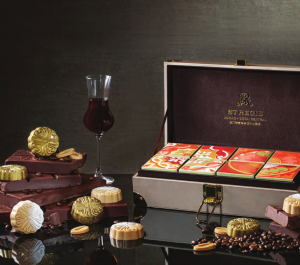 Upon opening the leather box gift set, one will discover eight mooncakes individually packaged in uniquely designed boxes inspired by the mural at The St. Regis Bar known as “Harmony”. 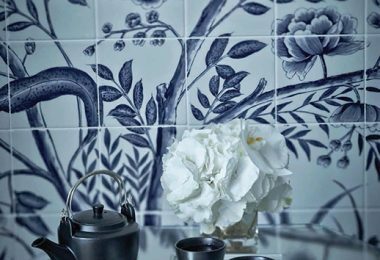 The mural tells the tale of Macau as a place of harmony where both Chinese and Portuguese have lived side-by-side peacefully for centuries. 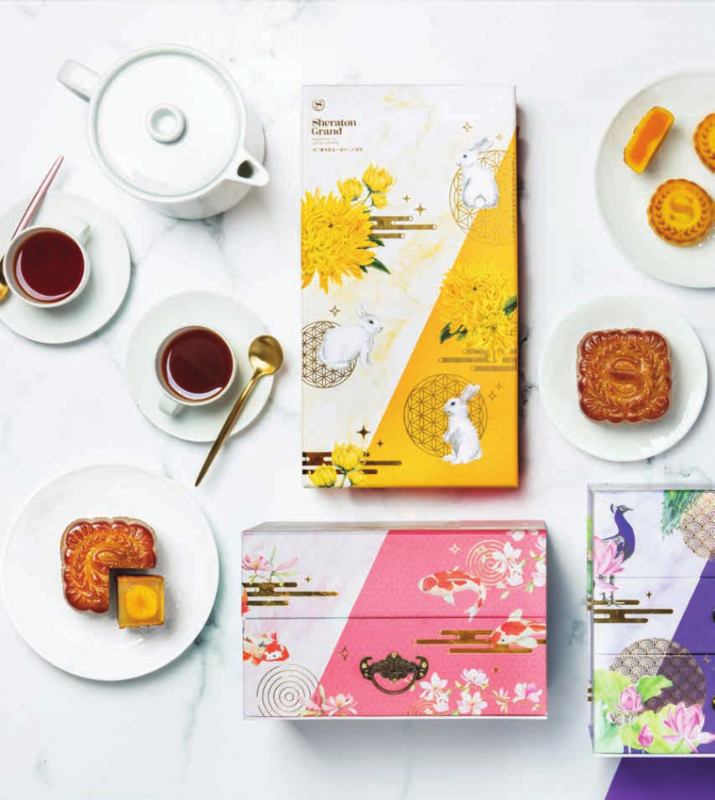 Within each box of Harmony, one will find four exquisite pieces of Swiss Chocolate Truffle with Vintage Rum Mooncakes and four decadent pieces of Café au Lait Valrhona Chocolate Mooncakes – each made of Valrhona gourmet chocolate. Sheraton’s mooncakes are for sale at Palms Cafe or Xin restaurant while The St. Regis’ mooncakes are available at The Manor restaurant until 26 September 2018.